Barbara Swafford recently published a post about Bloggers Going Naked over at BloggingWithoutABlog. If you don’t know Barbara you may want to check out her thriving blogging community and blogging tips and follow @BSwafford on Twitter. Are you a naked blogger (no ads on your blog), or does you blog have some bling? If you land on a blog which has advertisements, are they a distraction or have you become blind to them? If you do show ads, are they profitable? These are questions on the minds of almost every blogger, so we should all drop on over to Barbara’s and contribute to the discussion. What is needed is a public change in perspective. Have you ever wondered why the masses tolerate big brand advertising everywhere but scream whenever a small business or blogger displays ads? We are our own worst enemies. Small businesses and blogs are the solution to the economic decline we are experiencing. We should encourage them to get smart about advertising and this is how I believe we do that: by <a href=”https://www.growmap.com/bloggers-position-yourself-where-the-money-is/”>geo-targeted blogs</a> that reach specific local audiences and appeal to small business advertisers. First I want to point out How NOT To Monetize Your Blog. That post I wrote previously explains my reasons why the specific methods mentioned are bad for bloggers. 5) Rotating ads – I am redesigning my site to replace individual ad blocks and rotate ads in the two positions favored by major sites. One will be 726×90 above the header and the other a 300×250 in the right sidebar (after I move both sidebars over). I am doing that to get a sharper, cleaner look on my blog while still being able to offer advertising. Those ads will all be creatives provided by the advertiser linked either directly to my affiliate link on their site OR eventually to a post that explains why I recommend them. I only run ads for companies and products I recommend. What we must be very clear on is differentiating between a traditional advertising model (something you allow on your site for the money but do not necessarily recommend but at least don’t find objectionable) and my preferred model where we only run ads for what we can personally recommend. New bloggers may not know what to recommend or may want to monetize more easily. When that is the case just make sure your disclosure policy VERY clearly indicates what are ads and what you are recommending. I’ve found another way to promote my blog. It’s a new traffic exchange service (http://liqad.com/) and it sends back to my site much more readers than I send to liqad. I mean it’s absolutely free – my stats are going up. Admin says it should be possible to sell extra traffic to monetize blog soon. If you’re going to comment don’t claim you “found” the site you’re promoting. Don’t you realize that bloggers can see what you’re linking to and most will just delete your comments? If you’re not working with or for Liqad you should use your OWN url in that field and if you are be honest and learn to use KeywordLuv to get your links – not put them in the comment. The only way Liqad would be really beneficial is if they make it possible to exchange traffic on RELATED blogs. Random traffic that isn’t interested in what you’re doing is pretty worthless unless your only intention is to sell advertisers worthless ads using inflated traffic statistics. Tip number 5 sounds great! One of the goals of blogging is to make the page look cool that the visitors would want to stay longer and look into the deeper pages. People like it if things look organized. Just putting the ads in whatever place might turn off the visitors. Thanks for sharing this good tips it will really help to monetize a blog. Maximum placement of ads can harm your blog. I have placed two block of Google ads and i don’t use any other like chitika or infolinks they can harm my blog. But, Is it fine to use 24% parts of blog as adsense? Just come across the post… goodstuff 🙂 Is always a balancing act, setting up a blog — have found that the only way to improve is to test.. nothing like feedback! I’m still not sure if I should put advertisement on my site. I’m afraid it will distract my visitors. Whether to use ads or not depends on the purpose of your site. It is unwise for any site to be sending their visitors off to other sites before they get a chance to see what you have to offer. On SOME sites it can make sense to offer them additional choices AFTER they don’t find what they want. For most ecommerce stores and sites offering products or services it is NOT wise to send your visitors away. I’ve heard that banners of all types are becoming less and less effective, even with rotations. I rarely use them unless they are inside of a relevant post. By the way, your geo-targeted blogs link is naked. In a way it’s an advantage because i can think of new ways to place ads so that they become more visible. Hi and thank you for this post and pointing me in the direction of Barbara’s blog and advice. Monetizing my blogs has been an issue that has plagued me since I started about 2 years ago. I have to admit that Adsense has been pretty much a total waste of time of time for me. I have now taken to creating niche blogs based around one product, service or opportunity and capitalizing on SEO to find people interested in said offerings. This has met with a much greater level of success for me to date. Have you read my post about how bloggers can position themselves where the money is by creating geo-targeted blogs? A gr0up blog that targets a specific geographic area for a particular subject such as cars or home improvement is THE way to make money. There is vastly more potential there than just making niche blogs and you can benefit many small businesses who will then be interested in advertising with you. I am always seeking out other bloggers interested in collaborating. If you use Skype or Yahoo IM meet me there to discuss what else we can do. The thing is though that each blog has a different situation, different kinds of content and different kinds of readers. So one size won’t fit all. I have seen blogs with lots of different kinds of ads on them being very successful (they are still doing good), and I have been reading them for a long time and I have also seen blogs with far fewer ads that for some reason turn me off. Its a fine balance between transparency and wanting to make money at the same time, while trying to not alienate your readers. I just using Adsense to make money from my blogs and get some bucks to payment for hosting fees. Thanks for the post. I have a blog and was wondering if there was another way to earn some money from people that visit it and then figure out it wasn’t what they were looking for. I am thinking to create a list of when that might happen and then create ads to those websites so people will click through to what they needed. Think this will work? When I managed AdWords accounts full time there were often keyword phrases for which there were two totally different products and no way to know which one someone was searching for. In those cases, I encouraged the advertiser to create a landing page offering them a choice – in other words let them tell you which they meant when they searched. Here is an example. Door moldings can be for houses or other buildings OR for cars. No business is going to sell both kinds of door mouldings. So if Good Millwork wanted to bid on the phrase “door moldings” they would first try to block words related to cars but they would still get a lot of clicks for searches for car door moldings, so they should put up a landing page for organic or especially ad traffic that has their door molding info on it (or a link to that page) and has a box that says “Were you looking for door moldings for a car? We recommend _______” where _______ is a company that sells auto door moldings. If an advertiser can offer both that is best; if they don’t, they should make an agreement with a business that offers the other product or service and agree that they will each put up landing pages and send traffic to each other to recoup the costs of advertising. You could do something similar on your blog. Nice graph you have there. I like adsense, but most blogs simply abuse it placing huge ads where they cover more than what’s important – the content. I don’t go to blogs to click ads, i go to read information. One annoying type of ads is when a small banner is inserted inside the article. I read the article, seems interesting, then my eyes land on that small banner and i just feel it’s useless to read more, i want to leave the blog. If you want to make money with Adsense, you have no choice but to manipulate your readers to click on ads. Thank you for commenting. I tune out ads when I’m reading so at least I don’t want to leave as much as Maria does. Yossi, we all must make decisions about who we are and what we feel is ethical and unethical. While I agree that much of the money that changes hands through the AdWords/AdSense system is because of Internet users not knowing what they are clicking on, do you really want to be unethical? The money publishers are paid for AdSense is paid for by the advertisers. If you were paying for ads on AdWords would you want to have to pay for visitors who have no interest in what you offer that were tricked into clicking (0r clicked because they didn’t recognize ads as ads)? That is basically stealing money from the advertisers which is something I can not condone. It also annoys your users and causes them to not trust you – and trust is a huge part of being able to offer products and services that ARE good enough to be recommended. I guess it all comes down to this: do you value clicks or do you value readers? I like to know people visit my blogs because they enjoy doing so. If they do click some ads, that’s fine too. There are also other methods of monetizing, ads by adsense is not the only one. Pop ups, or the dreaded flashing window which flashes on the screen, cannot be minimized or removed, usually will make me click the x at the upper right corner. Good content rules, and a good product with tasteful placement is key. A few adsense at the end of article is no problem, but the problem is you cannot really control the products being endorsed by adsense, a good affiliate program is the best option! Thank you for taking the time to comment. Back when I used to use AdSense a blogger/publisher COULD block any advertiser whose ads they preferred not to have display on their site. I suspect you can still do that by logging into your AdSense account. Only Rural America Forum and not KeywordLuv will be linked. Leaving THE out of your link would be better for SEO, i.e., linking only Rural America Forum without the The in front. You can also register your site to place your desired links in the CommentLuv field by buying default links from ComLuv so that your comments get two dofollow links with anchor text in blogs like this one. Another post that could be very useful to you is my priorities for Small Business Internet Marketing. Most of my advertising comes from Amazon Affiliate and AdSense targeting, though I still make a few bit here and there with direct ad sales. I admire that you are one of the few honest bloggers who publishes your earnings on your blog. Good to have you commenting here so frequently lately. I will do my best to return the favor. I am adding you to my posts that include links to trusted collaborators. I feel that transparency with your readers is key. I use advertising on my blogs, and find that well placed Adsense and affiliate programs work best. I think if a reader trusts your writing, there’s less disgust with ads – even though there shouldn’t be much at all when the ads are placed esthetically and in moderation. Furthermore, the better the quality of content, at least for me, equals definitely a higher CTR on ads and offers. Thank you Wisconsin. I appreciate your feedback. Do you know about KeywordLuv? You can use a name and keyword phrase in the name field here and on other blogs that offer it and only the phrase is linked. Details on how it works in the post I’ll put in CommentLuv in this reply. I was just doing donkey work i think..thanks for such information especially the map you have provided here. It will help me to boost my blog. That was an educative share! I feel just as Google respects and finds out a way to earn from ORIGINAL content all over the www, it’s about time we bloggers should find new avenues for earning some revenue. It is not as if writing something original and writing stuff which helps web readers is easy! This is my first time to Growmap (my loss I know) and boy do you know how to leave first impressions! Yes I have both rotating and text adds on my ‘main site’. Do they make me money? yes they do but not enough to leave my job on, more enough to pay server bills and a treat here and there. Ads vs Info products…Ads win 1) because I’m not a fan of selling info (ebooks!) and 2) if targeted ads work well. Hi Gail .. isn’t Barbara great – wonderful you’ve mentioned that post here ..
Just been over and had a look at her blog, it’s pretty good isn’t it! 1. Are you a naked blogger (no ads on your blog), or does you blog have some bling? – I have AdSense on my philosophy blog, technology blog, social blog and website, but not so many that it makes the page look ‘spammy’. 2. If you land on a blog which has advertisements, are they a distraction or have you become blind to them? – Often yes I have… only a few very well integrated ones ‘trick’ me into clicking them. I often try not to click ads unless they are recommended by the author, as I find they are often not as good as recommended links. When I visit other blogs I do find some of the ads a distraction or annoying, however I have learned to keep on reading if it is really good content. If I am annoyed it lasts for about half a second until I scroll down or over. Small price to pay for great content. I deal with it. I think bloggers and web publishers are looking in the wrong direction. The model of monetization newspapers with ads is not working online very well, especially for bloggers, why? because readers come to read what the blogger has to say, and not to watch ads. By now you ask yourself what I am suggesting? I suggest a new way to make money without ads. Till today, Google as an aggregator of content is making billions from sending users to businesses’ websites, while web publishers who send their readers to the same businesses get nothing, and struggle to monetize their content. We provide a way for web publishers to concentrate on good content (NO ADVERTISMENTS) and get rewarded for the value they create. We created a Reward-Per-Click™ program that allows businesses to reward publishers for referrals much the same as they pay Google (Pay-per-click) for referrals. I personally have not made much money with adsense (I still haven’t even got a check). Right now my earnings are at $62. I personally think that you will probably make more money selling textual links and banners. In 5 months I made more on one link I sold $6 per month, that from adsense. You can also charge a fee to blog about someones business. The only way you will make a lot of money with adsense is if you have huge amount of traffic and/or your keywords are high paying and you have them on areas where you get a good CTR. That is true about how there are many advertisements now, wherever you go. That is how most of these companies make their money, especially when they are willing to pay to post up their advertisements on a website. I am so happy that you put this article up, with pertinent links. I have been so frustrated by spammers in this arena for a long time – finally some credible information. Given what I (try to do) for a living, I am really grateful to you. You can also monetize your prime real estate which is within the blog post, usually after the first paragraph. Good stuff, this is the hardest part and often the most overlooked. Regarding adsense though, you really need to make sure you have tonnes of traffic to expect that this will be profitable. Very little return on investment if this is your only source of income. First, thank you for the link love and kind words. I truly appreciate them. Monetization of blogs can be confusing. What I learned is it doesn’t pay to spend time placing ads on a brand new blog when we have no inbound traffic. I unfortunately wasted dozens of hours doing that, only to find out I should have been self promoting instead. Considering bloggers are giving information away for free, I see ads as a way to help a blogger generate *some* income for their knowledge. Sadly too many bloggers start, think they’ll make a fortune quickly, only to find out it takes time, so they quit. The problem with adverts on blogsites is readers find them too irritating while reading blogs (inside information from my close buddies). I had tried In-Text ads too, but the revenue terms are way too unconvincing and too slow. Now, from your read I follow they have hidden powers to throw your site dropped from SE’s. Some ads are more irritating than others as my other post on how NOT to monetize explains. When we allow any entity to have a search monopoly they can always penalize us on any whim and there isn’t much we can really do. That said, to tiptoe around or allow ourselves to be intimidated into not doing the right thing would be, IMHO, a mistake. Here’s another point of view on monetizing blogs. Different strokes, for different folks. I am the first to admit there is no “right” or “wrong” way to monetize (or not) or design a blog. Many of us do discuss best practices but we do not always agree and there are very different styles of blogs and bloggers. One reader recently disliked the layout of this blog enough to mention it on Twitter and what he most disliked is what we are planning to change when we redesign. Other bloggers I respect offered their input; some I agree with and other specifics we disagree on. While there are some things on which the majority can agree that doesn’t necessarily mean we should decide with them. Many readers would say “no ads at all” on blogs or for small businesses who really need them while tolerating ads for big brands everywhere without complaint. Bloggers provide a very valuable service they can expand or continue only if they find a way to keep a roof over their heads. That is one reason middle ground around monetizing is necessary. Making our readers aware of quality products and services we sincerely recommend is another. The only thing missing for me is a Twitter like button for this post. @growmap I checked out your link to https://growmap.com/what-caused-the-great-depression-is-now/ and smiled! I suppose when the truth is overwhelming smiling is as good an option as any and better than most. I don’t believe I have ever seen a Twitter like button. I do have Tweet buttons and Facebook Like and Share buttons on each post. What a really informative and helpful post. Thankyou for all this well researched information. I don’t have ads on my site. Just my store and have no plans to add them to this site. May have them on other sites I am planning. It does depend on the niche and I find them very off-putting if I go to a site and have to search for the content I have come to read. I realise there are all sorts of ways to put ads on a site and this post sure gives food for thought. Thanks for sharing. Appreciated. I believe as bloggers move to writing in specific niches and being able to reach well-defined audiences there will naturally be very targeted ads that make sense. Those ads may be by the month or by the impression or pay commissions, but the key thing is they will be highly relevant to our readers. Your blog has a very narrow niche; however, your readers might be interested in sources for lavender essential oil, lavender lotions or organic products, lavender plants or seeds, books about . If you haven’t already written about it you might write about the difference between natural lavender products and traditional non-organic products that contain lavender scent. 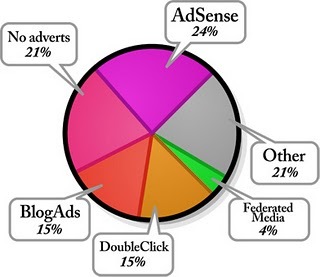 A well thought out article about the pros and many cons of blog advertising. Nowadays there seem to be a lot of blogs out there where advertising is so prevalent that it becomes difficult for the reader to discern where the actual “real” content begins or ends. I especially liked your suggestion of using ad blocks or rotating ad blocks. That is because there ARE many blogs created solely as a place to display AdSense also known as (aka) MFA or Made for AdSense sites. Those are obvious, but what is sad to me is that there are many bloggers who write high quality content who detract from it heavily with text link ads and giant blocks of AdSense in their content. That is why I wrote my previous post How NOT to Monetize Your Blog. I do believe advertising is one way a blogger can be compensated so that they can spend more time sharing what others can benefit from; however, it is best if they do not overwhelm their blogs with ads. Attorneys should definitely be taking advantage of the free advertising provided by local search directories such as Google Maps, Yahoo Local, SuperPages and hundreds of other sites. See the post I’ll put in CommentLuv in this reply for details. I think ads is fine for starting out (or very high traffic site paradoxically) but is a poor business model as it’s hard to scale and changes in the economy (eg the recession) will negatively impact your earnings. I try to focus on info products where I have greater control and then resell these with partners. Ironically, advertising is usually much better for the blogger / publisher than the buyer because they very rarely generate more sales profits than they cost to buy. While the money has definitely been in info products and they have their place, being able to sell them is not nearly as beneficial to creating a better world and standard of living for others as well as ourselves as what we can do when we learn to drive sales for quality products and services. I sincerely believe that creating geo-targeted blogs will have far more income potential than info products do. It all depends on the type of blog you are trying to monetize. For some blogs ppc ads and banners work fine, for others don’t. There are so many ways to monetize blogs. I even have few blogs without any ads on them which are making me more money than some of my other blogs. I agree that there are many ways to monetize and wrote this post primarily because so many bloggers are struggling with whether ads are “ok” or “not ok”.